Under the shadow of a tall bronze Nelson Mandela statue we discussed the ways to make a brighter future in African Communities. 17 participants from eight Sub-Saharan African nations came together at the Young African Leaders Initiative Connect Camp 13 in South Africa form June 5th through June 9th. The participants arrived in pairs, one Mentor who is a Mandela Washington Fellow Alumni and one Mentee from their community. The pairs have arrived from Burundi, Tanzania, Malawi, Namibia, Mozambique, Central African Republic, Zimbabwe, and around South Africa. Given its history, South Africa is a particularly inspiring place for discussion about overcoming struggle for a better collective future! Nicholas Mertens, the Deputy of Cultural Affairs here in Pretoria, welcomed the group and officiated the start of the YALI Connect Camp 13. After hearing from Nick, the participants then outlined their goals for the week. They wanted to learn how to strengthen their mentoring relationships, how to refine their organizations mission, and work with challenging personalities, to name a few goals. Professor Judy Millesen synthesized their goals and then worked them into the curriculum throughout the week to give the participants the tailored information that they wanted to learn. At the end of each class day, some participants and start would go stroll in the capital park together at sunset and watch the light change over all of Pretoria. On Tuesday, Dr. Millesen and participants discussed the mindsets and strategies that lead to truly sustainable development. One conclusion was: when working with a community, organizers need to work alongside the community instead of in front or behind it. The class discussed methodology in research, planning, and implementation of ideas, which are completely inclusive of community members. This approach makes the development projects much more valuable to those it intends to help. Everybody envisioned what his or her communities would look like if the poignant problems were solved. Next, participants separated into groups in order to collaborate on ideas on how to improve their communities to reach their visions. After a hard working, yet very awe-inspiring session, it was time to relax in the afternoon and just enjoy South Africa. Each evening some participants would go out to dinner at a local restaurant with Dr. Kalyango to debrief about the day. After wonderful participant presentations Wednesday morning, we were off! We left Pretoria to go to the Innovation Centre. These centers give support to young entrepreneurs. Working space, machinery, and WIFI are a few necessities that the Centre will give to an entrepreneur with an excellent idea. Our participants were inspired to see that places like this exist, and expressed that they will look for these facilities in their home counties, or like Carolyne from Tanzania, start their own innovation center for their community members! Afterwards we went to visit the Apartheid Museum. Even our South African participants who experienced Apartheid expressed how they gained an improved historical perspective from the visit. These local participants were also able to provide interesting experiences from the era of Apartheid. As Mandela said Education is the most powerful weapon which you can use to change the world. We study to understand the past in order to learn how to manage and overcome challenges of the future. The YALI connect camps are here to educate leaders, so that they will have a ripple effect to empower their communities for generations to come. After the Apartheid museum, the participants went to the mall to do a little shopping and relax for the evening. 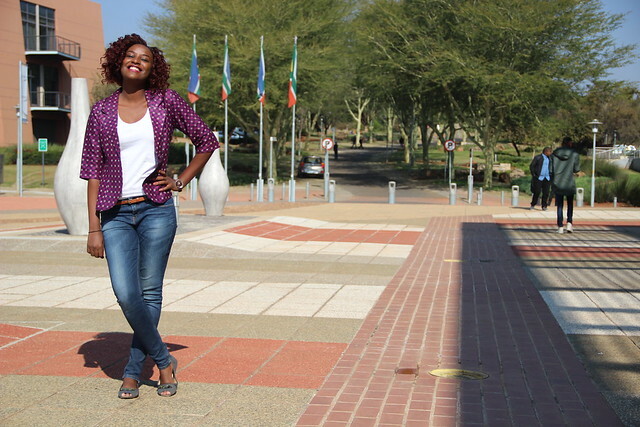 By Thursday, the YALI CC13 participants called themselves a family, rather than a cohort. Participants expressed how this camp has created the opportunity to make important connections with other African leaders for collaboration, support, and inspiration. That is also what the YALI Connect Camp is all about: bringing together the optimistic and inspiring local leaders of today to lift each other even higher. On Thursdays classroom session, Professor Judy talked about asset-based development. The participants discussed the meaning of value and resources. Everyone practiced becoming more creative in their approaches to solving local issues and gaining the services and products they need by not looking outwards for handouts, but inwards to their community members for ideas, insights, and solutions. Friday morning was, sadly, our final participant presentations and class sessions before graduation. The ceremony took place at Liliesleaf Farm, a well-known historical site and past hideout for the Apartheid resistant movement leaders like Mandela himself. We were honored to have the graduation ceremony was officiated by Carol OConnell, the Deputy Assistant Secretary for the Bureau of African Affairs at the U.S. State Department. After an inspiring ceremony, we had a fun-filled and delicious dinner to close out the week. Thank you to all who have helped to make this Connect Camp 13 such an incredible success. We look forward to hearing about the incredible work our YALI Fellows will be doing in the future!